The weather is turning increasingly summery outside, allowing me to ride to work without a waterproof coat (for the most part) and sit outside in the garden with a few beers at the weekend. Inevitably the warmer weather brings with it insects, specifically bees. Before you curse them for lingering around the BBQ food and buzzing around your pint of cider in the afternoon sun just remember that without them things would be very different. In being “directly responsible for 70% of the fruits, vegetables, seeds, and nuts we consume” they actually form a rather critical element in our human lives. Without bees “our diets would consist mainly of corn, rice, and wheat”, not that appetising I’m sure you’ll agree. Oh, and a it looks like you’ll also be a good deal poorer and possibly naked too due to a mass decline in the availability of cotton. So, let’s look after the bees and definitely don’t confuse them with wasps. Thanks to AsapSCIENCE for the video. As a global giant of just about everything Nike are starting to move in the right direction and earn themselves some environmentally green credentials with a new Better World campaign. Superior athletic performance. Lower environmental impact. Which holds true to their roots as well as looking to the future. They’ve certainly made a great start on this with thanks, in part, to a particularly clever recycling technique. The process involves transforming old and discarded plastic water bottles into football kits for national teams. That’s right, old water bottles that you or I drink out of, to something that the likes of Ronaldo, Ribéry and Sneijder wear to represent their respective countries. Each of the kits is made with a minimum of 96% recycled polyester, which is equivalent to around 13 plastic bottles! They are unsurprisingly Nike’s “most environmentally friendly ever” garments due to the fact that they not only save on the raw materials of pure polyester, but make a 30% reduction in energy for manufacturing them too. For more information check out their site, Twitter, and Facebook pages. 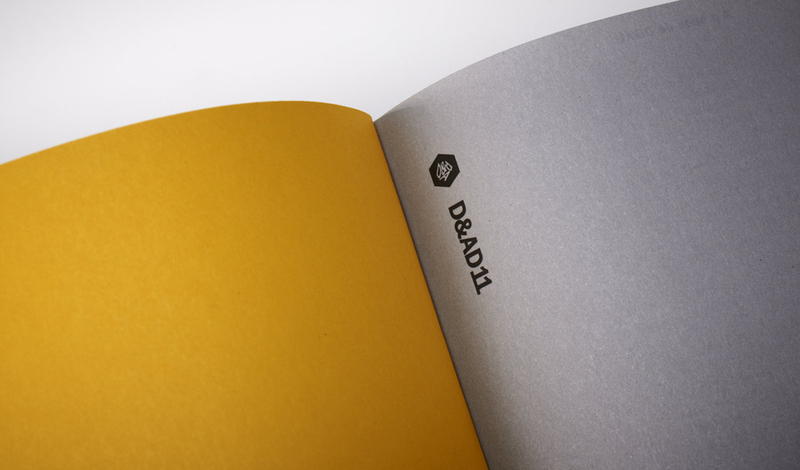 Yesterday saw the launch of the 49th D&AD Annual and, in keeping with current issues, it’s more sustainable than ever. 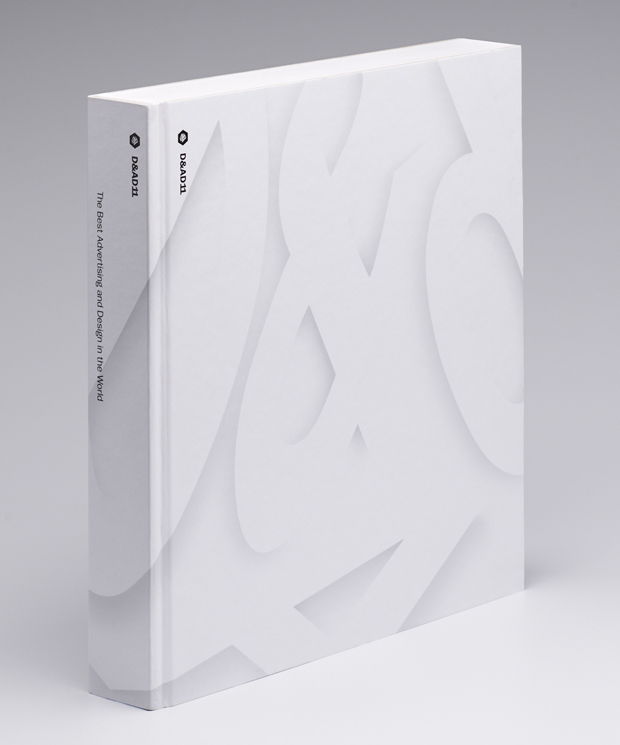 The Annual is a collection of the year’s most creative and award-winning work, and the focus with this particular edition is a definitive case study in sustainable and mass publication. 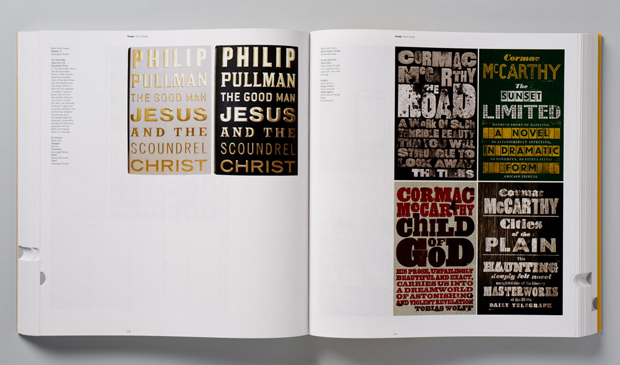 Taschen are masters of publishing within the creative industry, and when combined with the D&AD President Sanky, Nat Hunter, and design icon Harry Pearce, the final result still looks remarkably inspiring. Vying away from an obvious “sustainable” choice of the Annual being purely digital, Pearce was adamant that the Annual should be a physical book by simply stating “Books, we need them”. How do you argue against that? The final carbon footprint is an impressive 82% less than last year’s annual, the design really questioned every step and production stage possible towards environmentally conscientious paperwork. Though flipping that fact around, it does make you wonder just 12months ago could more have been done? 82% is a huge amount! So, just how did they achieve the whopping figure of 82%? 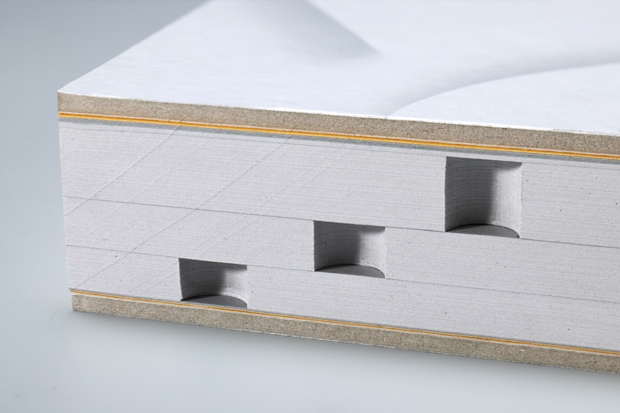 For starters the paper is 100% recycled, to ISO 14,001 standard, fully compostable, and the stock is much lighter shaving almost 1Kg off last year’s weight. Producing the stock in Austria was also helpful – 70% of their power comes from hydro electric. Beyond the physical paper, a vegetable based printing ink was used before being bound inside a recycled and laminated board. The result is something classically packaged with a modern twist. Excellent attention to detail as always, with thumb-sized cut-outs identifying the sections. A solid and clean layout remains despite the downsizing since previous years, keeping the focus on one core ideal – the work is the hero of the book. 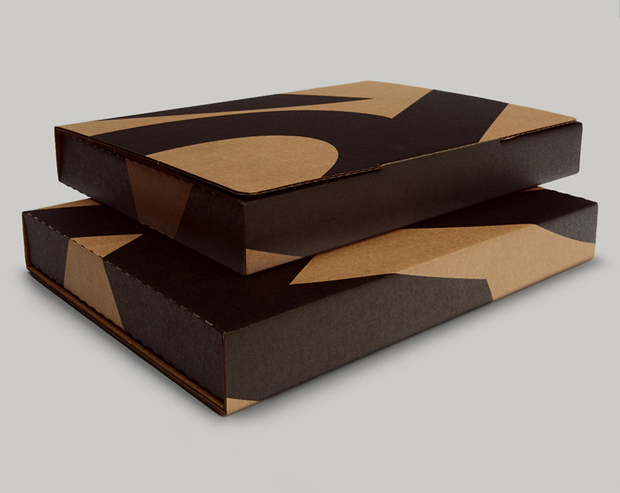 More images over on the Pentagram site here. And of course, buy your copy of the Annual here. The latest offering from Do The Green Thing, an environmental feed dedicated to inspiring people to lead a greener life, puts forward a short video that is pure “stop motion loveliness”. The moral of the story shows us that there is an incredibly sustainable alternative to throwing away things that are broken. Mend them, hack them, fix them, improve them. Just don’t throw them away. Beautifully charming stuff from Olivia Knight (concept), Claire Lever and Steven Boot (animation), and Martin Kelly (photography). 01 April, April Fools’ Day. The one day of the year, up until 12noon anyhow, where companies and broadcasters spin stories out of control in an attempt to catch you out. You may have seen some or all of these yourself, you may have caught them in a fleeting glance while scanning headlines, you may have laughed at their absurdities or even paused to consider how authentic the story was, even just for a second (and then hoping that no one saw you considering it!). I’ll admit a couple of them did make me pause for just a moment so, in no particular order, here are my favourites from today. This was the first ‘fool’ I came across today. I like it for it’s playful twist on a very current and trending topic at the moment. Cycling is being ever more encouraged, as is recycling and the use of sustainable materials. 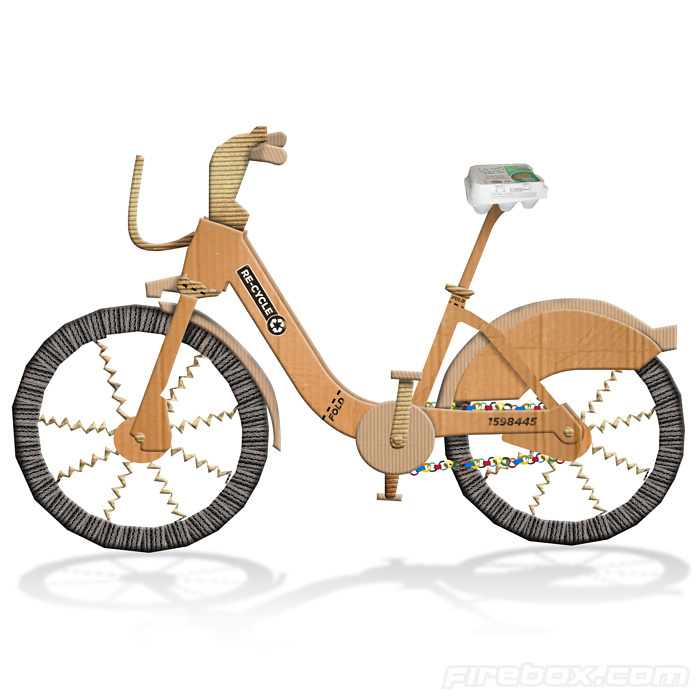 Merge all those elements together and you get Firebox‘s Re-Cycle Cardboard Bike. Supposedly made from two hundred recycled newspapers, it claims to use the same technology that protects eggs in transit and features such desirable attributes as “unpoppable corrugated wheels”, “patented rip/tear technology” to assist with the quick release wheels and the added benefit of it being easily secured to a wall with tape – “without the risk of theft”. All the absurd descriptions aside, I do kind of want one (yes, even the ‘paper chain’)! This initially caught my eye as it wasn’t simply an online ‘rumour’ or link passed around, it had a very genuine looking advert in this morning’s Metro. 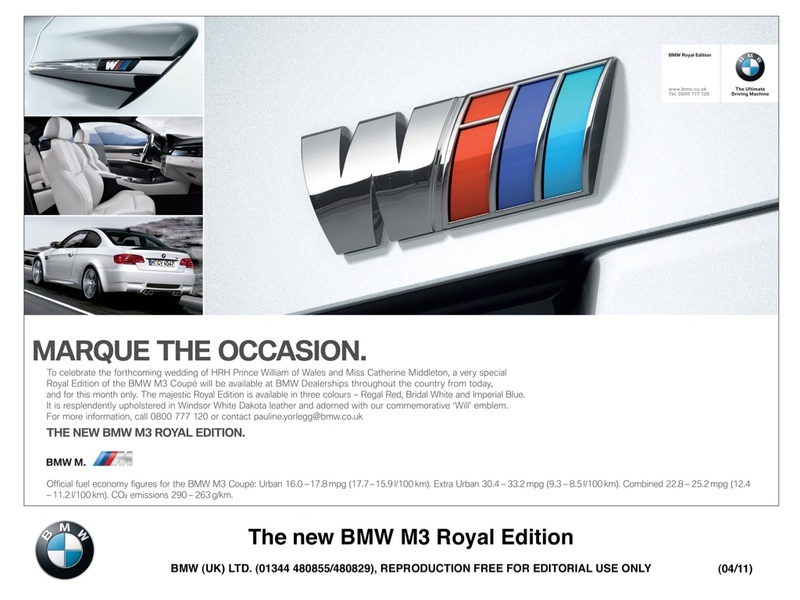 BMW offer you the chance to “marque the occasion” by purchasing a BMW M3 Royal Edition with stock limited to the month of April. Available in the apt colours of Regal Red, Bridal White and Imperial Blue, and upholstered most appropriately in Windsor White Dakota Leather. Oh, and of course, a dashing “WILL” badge to adorn your bodywork. Why click ‘reply all’ when you could squeeze in some exercise and point your thumbs back over your shoulders? Or why waste time holding down the delete key when a simple shake of the head will do! Be sure to check out the complete list of amusing Gmail Actions. Spotted over on the Dezeen Blog was the audacious unveiling of a 12m bronze statue of Boris Johnson sitting astride one of his infamous Boris Bikes. 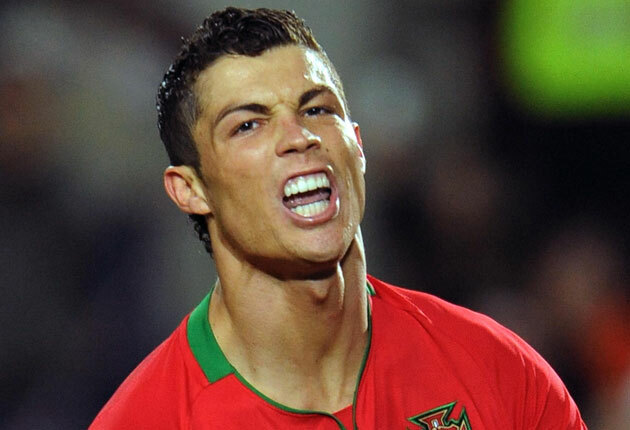 The respectable Independent pitched a very well written article on how Portugal had managed to effectively sell Cristiano Ronaldo to neighbouring country Spain in a bid to ease the country’s national debt. It’s that time of year again, and the “Oscars of the design world” have recently been announced, so to follow up last year’s post on the subject here is my take on the 2011 winner. 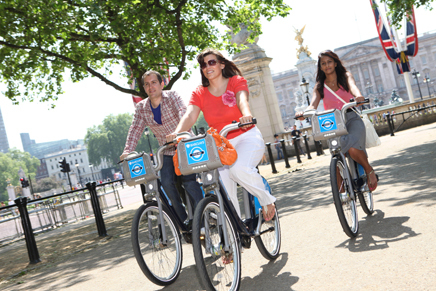 Even before the individual category winners were selected I had already chosen what I believed to be the two front runners of the accolade, championing both Barclays Cycle Hire, overall winner of the Transport Award, and Plumen 001, eventual winner of the Product Award. The Barclays Cycle Hire scheme (aka Boris Bikes) is a fantastic scheme and has been hugely successful, but earlier this week the Plumen 001 was eventually crowned the overall winner of the Brit Insurance Design Of The Year holding off strong competition from more than 90 other entries. As a lighting designer myself the Plumen 001 holds my particular interest more than most, but this isn’t the reason I believe it to be a worthy winner. Not the sole reason anyway. I believe that it won perhaps more for what it represents than what it actually is. The product itself has been dubbed “the world’s first designer lightbulb” which says a lot. In a world where we are increasingly being encouraged to save energy and use electricity more efficiently it really is a wonder it has taken so long to get here. 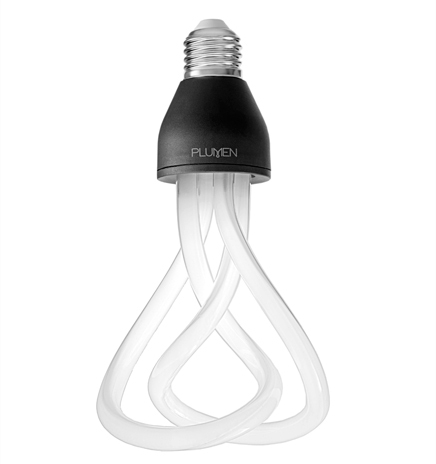 The two intertwined swirls have been designed by Samuel Wilkinson and they really offer the general consumer public an opportunity to utilise an aesthetically superior bulb, which is conveniently a great sustainable alternative. It’s no secret that previous ‘low-energy’ bulbs have been designed such that they look clumsy, and quite frankly ugly, so getting people on mass to use them as been somewhat of a struggle. Until now. 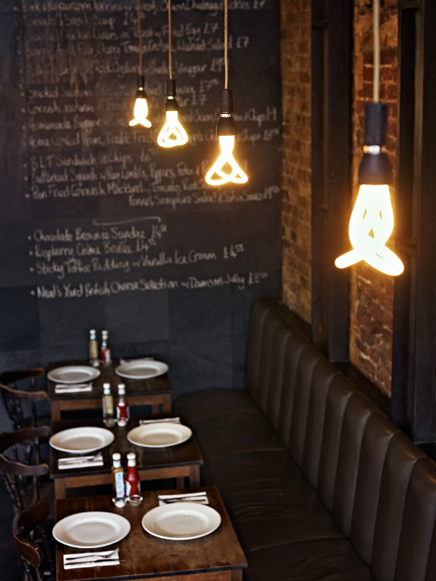 The Plumen 001 has been designed to be on view, it deserves to be seen. The lamp itself is said to use 80% less energy and last eight times longer than the more traditional incandescent bulb tucked up under the shade in your dining room. These figures are typically on par with existing low energy lamps, but given the choice I know which I’d have. Chair of the jury panel Stephen Bayley has got it spot on, noting that “the Plumen lightbulb is a good example of the ordinary thing done extraordinarily well, bringing a small measure of delight to an everyday product”. That, and that alone, is reason enough for it to triumph over all other entries. 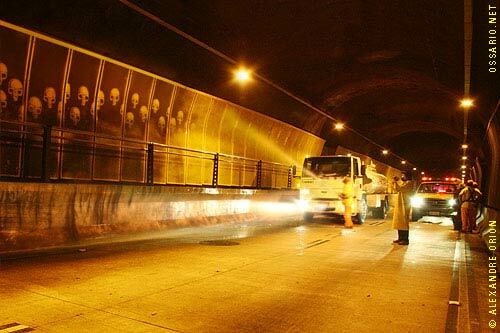 Without light, we really wouldn’t see anything, so it’s no wonder that light is considered primary to design. The design of the light sources themselves are therefore absolutely crucial and a core component of design aesthetic, it’s time people took note of this and used it as a basis to drive forward. We are, after all, still relatively early on the era of low energy bulbs. Creating a shape that is as functional as it is beautiful is no easy feat, combining the artistic element with a form that still achieves sustainable efficiency and maintains the best colour of light. 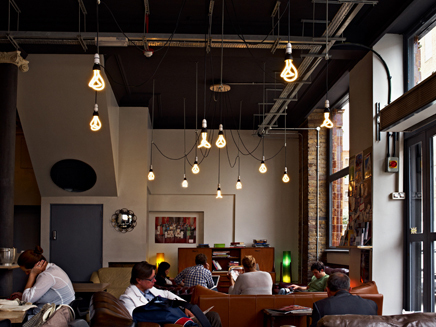 I’m entirely sure one day the Plumen 001 will be bettered, but it may well be a while before we see it. ‘Anything that is made betrays the beliefs, preoccupations and fears of the people who made it, never more than this year. There’s a strong sense of austerity, responsibility and realism here.’ Couldn’t agree more. All of the shortlisted entries can be viewed in person at the Design Museum until 07 August this year. 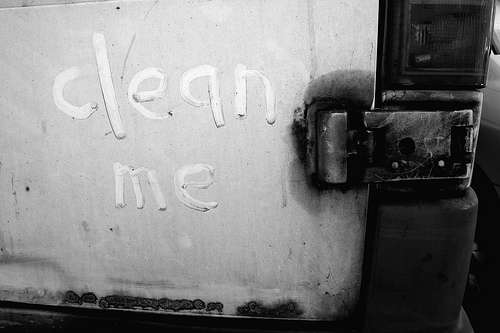 For as long as there have been dirty vehicles, people have writing “clean me” on them, but visual artist Alexandre Orion has taken this concept to a new level with his much more creative (and time consuming!) take on ‘reverse graffiti’. 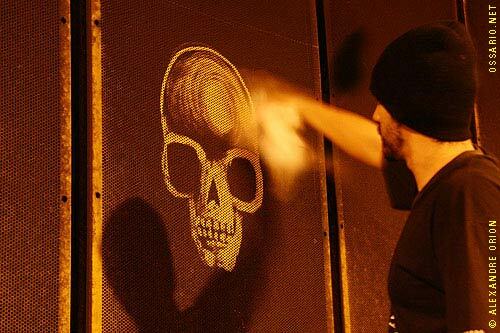 It’s like traditional graffiti, but with an eco twist. 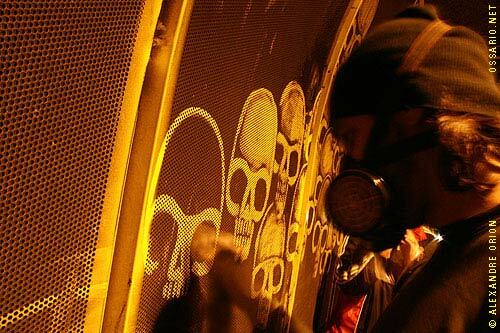 Detergents, wire brushes and good ol’ fashion elbow grease replace the spray cans and stencils that we’re used to seeing from graffiti artists, cleaning away layers of dirt and pollution to reveal the city’s natural facade and material colouring. 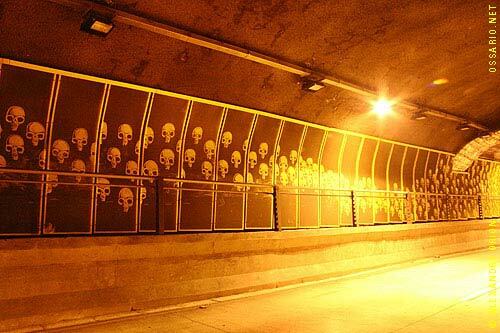 Driven overseas where authorities are more relaxed on this issue, though still not entirely supportive of the acts, a tunnel in São Paulo has become the latest canvas to spring reverse graffiti into the fame spotlight. The process itself is intriguing and fascinating, so if you can spare three minutes this video is well worth a watch. “He is not vandalising the urban environment as he uses no paint and merely strips away layers of grime and pollution” and besides, there are claims that “no one owns the dirt”, which is actually a rather good point. Even though he is actually making the city a cleaner place, authorities do seem to frown upon his acts and spend a lot of time and effort chasing down the reverse graffiti antics just to wash them away. It is a shame that this remarkably creative work is being scrubbed away by the the authorities, but the silver lining, I guess, is that they are actually making the city a cleaner place, which can’t be a bad thing. More images well worth checking out over here.